Insanity The Asylum Deluxe – Is It Worth It? INSANITY: THE ASYLUM is the newest intense workout from Beachbody and Shaun T. It combines MAX Interval Training with progressive sports drills to push you to dig even deeper then you did with Insanity. Leading you through sports-based exercises is your expert fitness trainer, Shaun T. He makes sure that the drills get progressively harder. You’ll burn calories, build muscle, and feel like a world-class athlete. In just 30 days, you’ll be ready to compete, with dramatic, measurable improvements in your athletic ability. 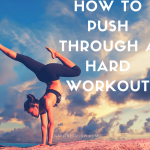 With plyometrics, speed, agility, strength, and core workouts, your body will love you and you will love your transformation to a leaner, faster you. So what is Insanity The Asylum Deluxe? It’s everything in the Base Kit (click here for more info) plus training tools to push yourself even further. They’ll add more intensity to your upper body, lower body, and core training. So you can get ADVANCED athletic results! Strength Bands: Add intensity to your full-body training by using one, two, or all three levels of these resistance bands. Intermediate and advanced levels. You may be asking yourself, do I really need this stuff? It’s all optional – you decide. In some of the workouts like Asylum Game Day, Shaun T. has you doing Rock Climbing Switches on a pull up bar (these are extremely difficult). Only a few people on the DVD do the Rock Climbing Switches, everyone else does Alternating Lat Pushups on the floor. Now the Lat Pushups are effective but you’ll get an even more intense workout if you use the pull up bar. Shaun T. gives you options. If you are not sure about whether you want this equipment or are even ready for it, get the Asylum Base kit. After you get through a few workouts, you can always get the Asylum Deluxe Upgrade kit, which includes just the equipment described above.